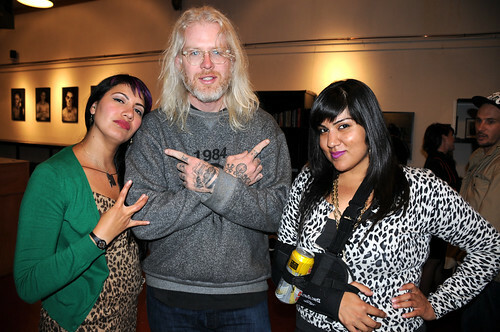 Last night I made my way to Free Gold Watch in the Haight to attend the opening reception for Amanda Lopez‘ Cali Love. The exhibit features Day of the Dead inspired portraits of Amanda’s closest friends, including my favorite twins Amanda and Allison Martinez. After being in the same shows and communicating online for years it was so great to finally meet Amanda Lopez and talk about her amazing work. I also met some amazing artists and creative people at the reception. I was thrilled to meet the super friendly Mike Giant. As luck would have it I wore one of his shirts to the opening that night. Equally impressive was my chance to finally meet the legendary Mayra Ramirez. 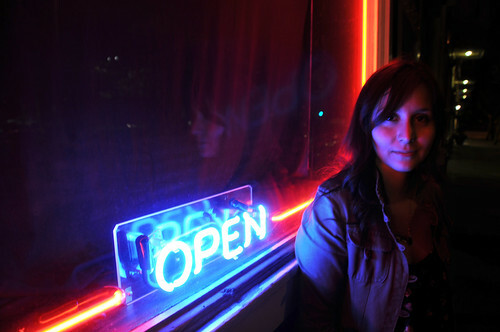 Mayra is the brains behind the Chola page on facebook and the Hella Breezys blog. She is a Chola muse to many artists and the leading public authority on chola aesthetics and culture. I’m looking forward to our future collaborative projects together. I’ll be revealing some artwork that we got the ball rolling on soon! Until then enjoy this video of Mayra getting down to Mellow Man Ace’s Mentirosa. Cali Love will be up for a month at Free Gold Watch. 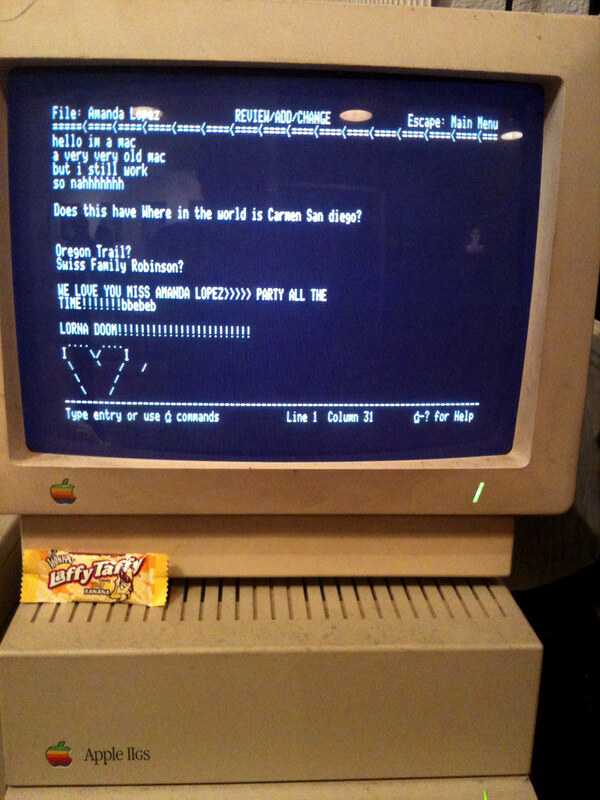 I’ll leave you with this photo I took of an OLD Apple IIGS computer they had at the reception. I thought it was a great alternative to a sign-in book.